Bantam. PAPERBACK. 0857500139 Very Good Condition. Has some wear. Five star seller - Buy with confidence! . Very Good. Bantam, January 2011. Trade Paperback. Good - Trade. Stock photos may not look exactly like the book. Bantam, 01/06/2011. Paperback. Used; Good. Slight Water Damage **WE SHIP WITHIN 24 HRS FROM LONDON, UK, 98% OF OUR ORDERS ARE RECEIVED WITHIN 7-10 DAYS. We believe you will be completely satisfied with our quick and reliable service. All orders are dispatched as swiftly as possible! Buy with confidence! Bantam, 01/06/2011. Paperback. Used; Good. **WE SHIP WITHIN 24 HRS FROM LONDON, UK, 98% OF OUR ORDERS ARE RECEIVED WITHIN 7-10 DAYS. We believe you will be completely satisfied with our quick and reliable service. All orders are dispatched as swiftly as possible! Buy with confidence! Paperback. New. 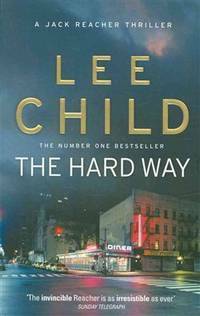 Featuring Jack Reacher, hero of the blockbuster movie starring Tom Cruise, as he comes to the UK.Jack Reacher is alone, the way he likes it. 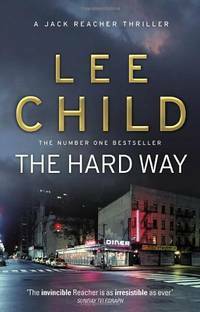 Reacher's job is to make sure it all turns out right - money paid, family safely returned.What started on a busy New York street explodes three thousand miles away, in the sleepy English countryside. Bantam. PAPERBACK. 0857500139 . Good. Bantam. PAPERBACK. 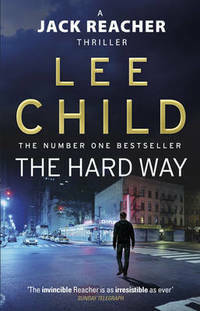 0857500139 Brand New ,Original Book , Direct from Source , Express 5-8 Business days worldwide Delivery. . New. Bantam. PAPERBACK. 0857500139 . Very Good. Penguin Random House, 2011. Paperback. New.